As a part of the Office of Human Rights, The Fair Housing Program has developed a far-reaching program of outreach and monitoring activities. Educational activities include training for landlords, real estate professionals, property managers, lenders, and other housing professionals, as well as information to and training for the general public. A 10th grade fair housing curriculum has been developed and incorporated into all 10th grade social studies classrooms in each of the 23 Montgomery County high schools. Each fall, a fair housing Poster Contest is conducted in at the Human Rights Diversity Camp from students. The winning entry is displayed on Ride On bus routes county wide during Fair Housing Month in April. The Office of Human Rights has developed a comprehensive program of testing for discrimination in the rental or sale of housing, home mortgage financing and compliance with architectural guidelines. Enforcement actions are taken as warranted by the Office of Human Rights' Compliance Section. As part of determining the level of discrimination in the County, the Office of Human Rights periodically conducts studies or surveys. This may include, for example, an evaluation of the practices of rental housing providers in the County, and the frequency and patterns of any possible discriminatory behavior. If you feel you have been a victim of housing discrimination and would like to file a complaint, visit the Compliance Section of this web site, or call 240/777-8450 or TTY 240/777-8480. To obtain information on fair housing or to arrange for training for your business, group, or organization, call 240/777-8450. Informational brochures are also available below. Discrimination in the Rental Housing Market Against People Who Are Deaf and People Who Use Wheelchairs: National Study Findings Publication. This report provides results of the first national paired-testing study of housing discrimination against people who are deaf or hard of hearing and against people who use wheelchairs. Read more here. Independent Foreclosure Review Payment Agreement Public Service Announcement. 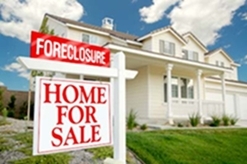 $9.3 Billion in Payments and Foreclosure Assistance to Begin in April 2013. On March 18, 2013, more than 4.2 million people were sent postcard notices about payments they will receive as a result of an agreement between federal banking regulators and 13 mortgage servicers. As a result of this agreement, the Independent Foreclosure Review ceased at those servicers. A full list of companies and their affiliates or subsidiaries covered by the agreement are listed below. The agreement provides $3.6 billion in cash payments to borrowers covered by the agreement. Borrowers covered by the agreement include those whose primary residences were in any stage of the foreclosure process in 2009 or 2010 and whose mortgages were serviced by one of the participating servicers. Payments are expected to range from a few hundred dollars to $125,000. By accepting the payment, borrowers do not waive any legal claims against their servicer and may pursue additional actions related to their foreclosure. See PSA for IFR Payment Agreement.